I’m feeling extra kind today and I don’t know why.. Hihi my inner soul is in bliss and delight despite this gloomy weather. This morning, I woke up early, had breakfast with Papa, then took a bath, and we went at Niner. I thought, I’m gonna be late again for reservation, but lo and behold, I got the second slot for coaching in writing later. After second failed attempts, yey!! 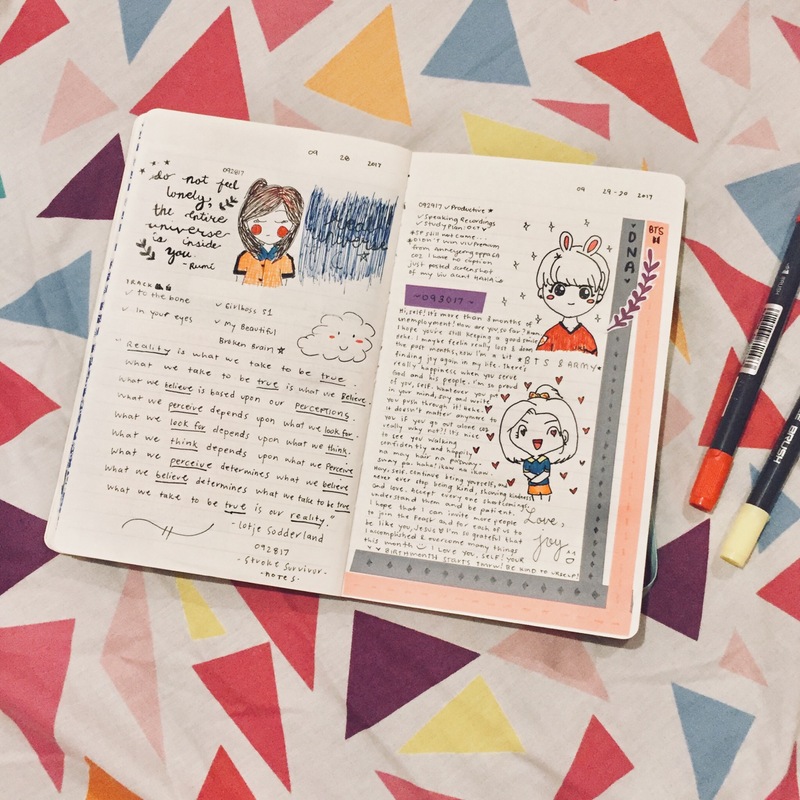 When we went home, my first agenda was to clean my room, our living and dining area. 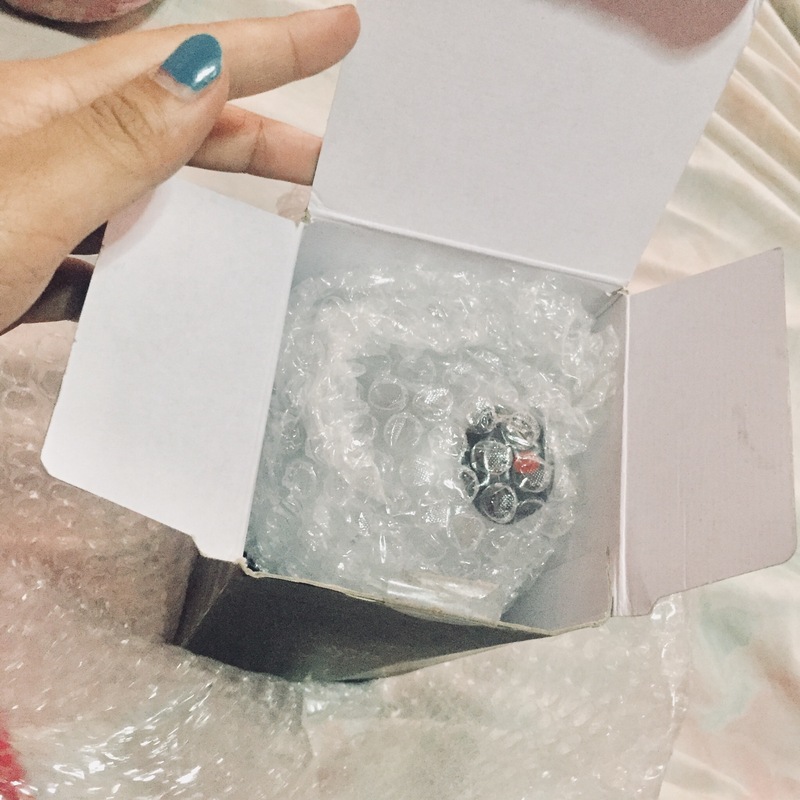 Hehe.. but I remembered that I’m gonna return the broken army bomb to its owner this week. She had refunded P1500 already, **I hope she pays me P400 next month as her promise. 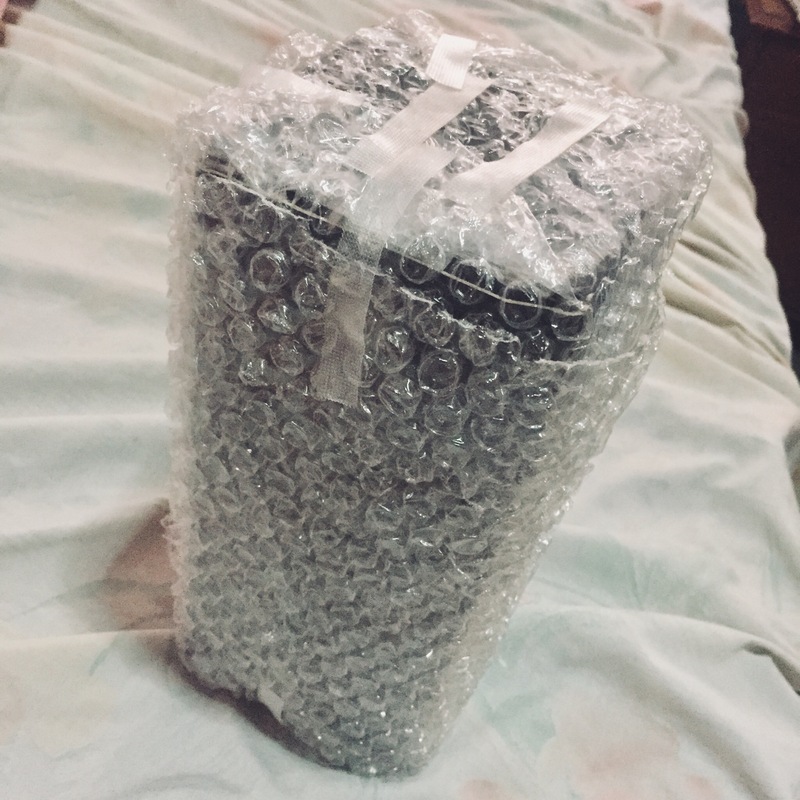 I covered the army bomb and the box with each bubble wrap. Good thing, I didn’t throw our bubble wraps before (from Althea). I kept her free 4 photocards with me, and gave her new set of photocards (Jungkook, V, Jimin, Rapmon, Jin), and also a short letter. Hihi. After I prepared my parcel, I booked via Xend courier for parcel pick-up today. On the afternoon, while I’m listening at The School of Greatness on podcasts app, I cleaned my room, changed my bedsheets (yeyyy! ), and decluttered some of my things. Then, took a bath again, and Papa drove me to Niner Santolan for coaching. I’m late again. (Haaay, self). I waited there until Mam Nadine called my name. I watched Temperature of Love’ episode 3 while waiting. Haha. So, I had my coaching session, got 6.5 for both task1&2. (Keep pushing, self!! Huhu don’t give up quickly). I decided to stick to my plan to go at Sta.Lucia Mall instead of going home because “me-time”. I went straight at Cinema 5 new building, hehe but bro, I was wrong, the feast’ Walk in 2 the light event was held at their old building, Cinema 5 😅. It’s always moving and ispirational to attend and feels God’s love altogether in one home. Right after the feast, I roamed around the mall because I’m craving for J. Co’s avocado frappe. However, there’s no J.co there. 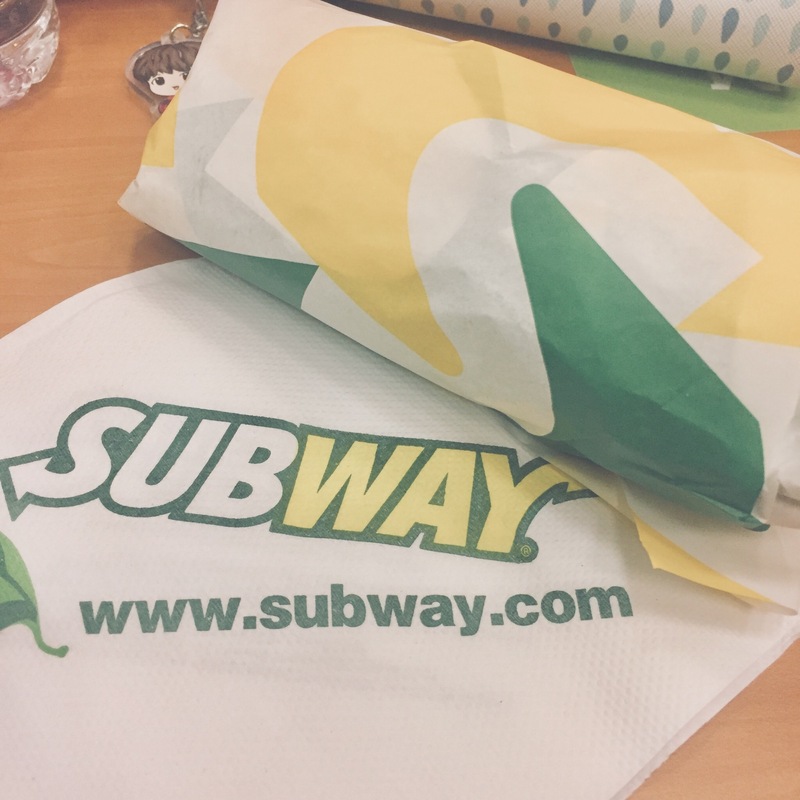 😅 I had my dinner at Rob’s Subway and did journaling until 2040H. Meanwhile, one woman approached me and she’s selling Otap Biscuits, she said she needed to fund her studies. And you knew what I did. Going to the tricycle station, I saw a mother with her child sitting on the street, it’s raining and cold, I looked at them, and they needed something, the mother asked for money because they wanted to go home, so I asked her if I can give her food instead, she nodded, and I gave her the Otap Biscuits. 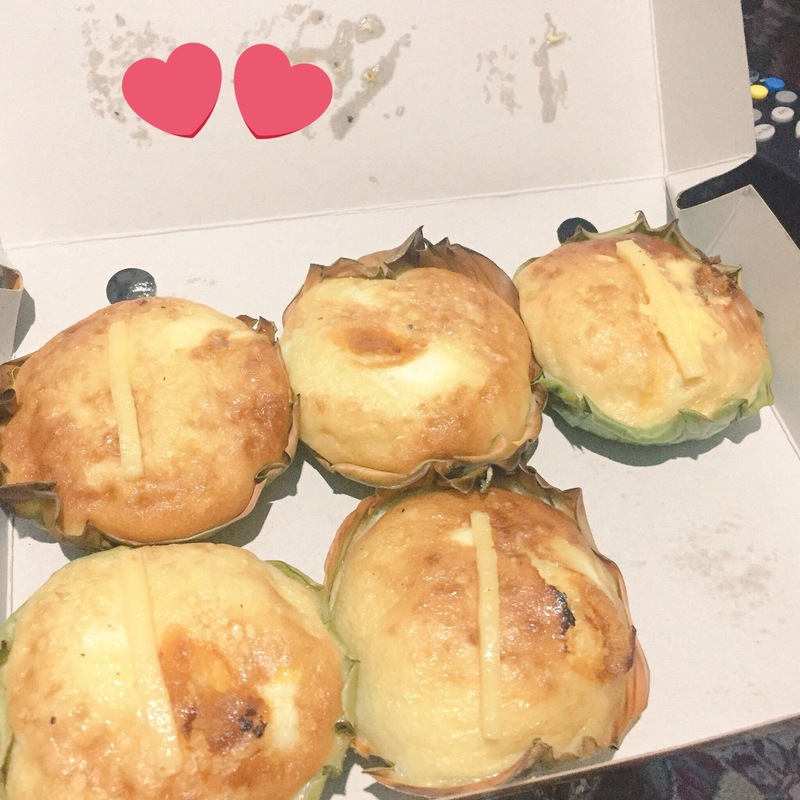 I brought home Bibingka (rice cake) to my Papa because he waited for me alone in our house, its my simple way of rewarding him and making him happy tonight. I can’t believe how my actions and words were like involuntary today, saying “take care” many times to people without hesitations.